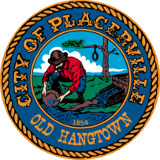 As residents of Placerville are aware, our city is located in a rural area surrounded by rural residential and open wooded areas. There is always the chance a wildfire could force the evacuation of part or all of the city of Placerville. With this in mind, residents and business' should have a plan for evacuation at a moment’s notice. Below are some links from various regional organizations with tips on how to prepare for the worst. There are some steps you can take before disaster strikes. First, all residents and business' should register with CodeRed. The City of Placerville has partnered with the El Dorado County Office of Emergency Services and CodeRED emergency notification service to alert residents and businesses by telephone, cell phone, text message, email and social media when there is a threat to the health or safety of residents. Please click here: http://ready.edso.org/ to get more information and register all of your telephones including your cellular telephone. Citizens may also download the City of Placerville App onto their smart phones. Citizens will need to search for Placerville Police in the app store. Several other useful links are listed below which are specific for preparation in the event of a wildfire which may require you to evacuate. The city would like to emphasize that everyone should have a plan for an evacuation including what to do (a communication plan) if you are separated from your family members during the evacuation. Preparation is the key here. Once a disaster hits, it is too late for preparation. Below is a link to the El Dorado County Emergency Preparation page. There is multiple useful links listed for disaster preparation. Please note, the common word used in these links is “prepare”. It is incumbent on all citizens and residents of Placerville to prepare and react when directed to evacuate. After registering your telephones with CodeRED, in an emergency, you will receive notifications in the form of voice telephone calls, text messages and emails. Please follow any directives given in these emergency notifications. Remember to register all of your telephone numbers with CodeRED including all cellular numbers and landlines. Parents, remember to register the cell numbers of any children so they are aware of any emergency situations.